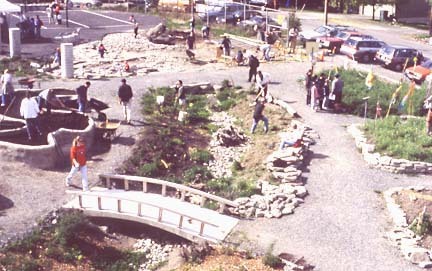 Bradner Gardens Park is a Seattle city park, and is maintained by the Friends of Bradner Gardens Park in cooperation with the DPR staff. For facility rental information, please contact Jefferson Community Center (206) 684-7481. Seattle Tilth inspires and educates people to garden organically, conserve natural resources, and support local food systems in order to cultivate a healthy urban environment and community. 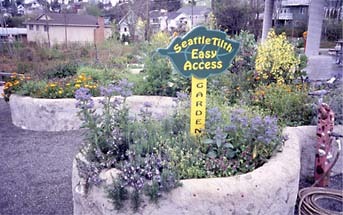 Seattle Tilth Demonstration Garden features edible plants, herbs and plants that attract beneficial insects. Learn how to grow fresh produce with organic methods. Demonstrations include drip irrigation systems, cover cropping, mulching and composting. 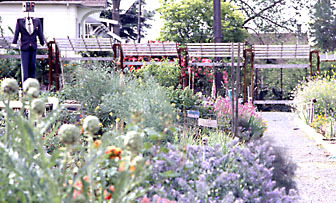 Bradner P-Patch is one of 60 community gardens scattered across the city of Seattle. Originally started in 1987 as the Mt. Baker P-Patch, today Bradner has 61 garden plots of 200 square feet each. The P-Patch Program was established in 1973 and is administrated through the Department of Neighborhoods. Any Seattle resident can apply for a p-patch by contacting the p-patch office. City Fruit works neighborhood by neighborhood to help residential tree owners grow healthy fruit, to harvest and use what they can, and to share what they don’t need. City Fruit collaborates with others involved in local food production, climate protection, horticulture, food security and community-building to protect and optimize urban fruit trees. City Fruit is in the process of becoming a non-profit corporation with a 501(c)(3) tax exemption. It is supported by donations, memberships, sales and grants. Beginning in 2010 City Fruit will not only steward the fruit trees at Bradner Gardens Park but will also offer workshops to the public in fruit tree maintenance. The Friends of Bradner Gardens Park Board is very excited to welcome them as a new Park Partner. The Mount Baker Community Club (MBCC) is a self supported neighborhood club and clubhouse since its inception in 1909. It is a mostly volunteer organization that relies on the active involvement of its members to accomplish the many community undertakings that make this such a great neighborhood to live in and to be a part of. The MBCC is a 501(c)(3) and serves as the umbrella organization for the Friends of Bradner Gardens Park.